We know it’s hard to ask for help. Learn how to start the process of healing for yourself or someone you love. You can make a difference! Learn how to be a part of our movement to transform childhood trauma. Most people have many questions about childhood traumatic events. Learn some answers to those questions. Childhood trauma and adverse experiences (also known as ACES) are understood by many to be the most important public health epidemic we face. 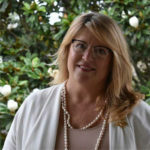 Childhood trauma is known to affect the structure and architecture of the developing brain and thus is linked to lifelong physical and mental illness. Trauma happens in the lives of so many children that it can no longer be viewed as an “oddity” or a problem for health professionals alone. To make a positive impact, it requires a community-wide response across all disciplines and citizens with the BRCAC at the helm. Total number of support services provided to victims and families by the CAC. Individual and Group Therapy sessions provided by BRCAC last year. 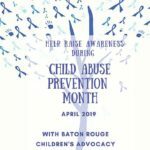 Children and Adults who received child abuse prevention education last year. of Children reported meaningful, positive change in relation to their trauma symptoms. Find out ways you can help BRCAC. Come see where the magic happens. 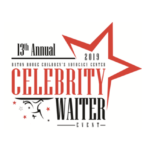 Save the Date for the 2019 Celebrity Waiter Event!